Later this month on 27th, Taylor Swift will launch her fifth album and first "official documented pop" album - 1989. She is one of the artists who is able to sell record number of albums. She, in previous avatar, was one of the top country singer. Country music is quite popular in Nashville area. Country music fans are though smaller in number but they are fiercely loyal. Taylor swift brought a lot new new fans to this music community. Her appeal to newer fan base of teenage girls made her music superstar and a force to reckon with. Now with her first pop album, Taylor has real chance of hurting her loyal base of country fans. She has been innovative in selling her music albums as well as her music shows. She is one of the most accessible celebrities. In her shows, she invites fans for tea parties, comments on fan's instagram messages, posts her cats and family videos. With this album, she has added another way to connect to her fans - 1989 secret sessions. She looks for dedicated fans on instagram, twitter, tumblr and she invites them over to her various houses for private listening session for her new album. In the age of secrecy of celebs' private lives and her work - any one of fans can release the music titles online - it is remarkable and fresh but risk-prone new approach. When I connect this approach to Malcolm Gladwell book - The tipping point- How connectors, marketers and maven are required to make a product tip?. She is looking to tap the marketers on the social media who has been in past a vocal fan of her and can act as her brand ambassador for her upcoming album. Whether it works or not remains yet to be seen. Post script: Yesterday, she launched her new song "Out of the woods" on iTunes. It went to number one within minutes. 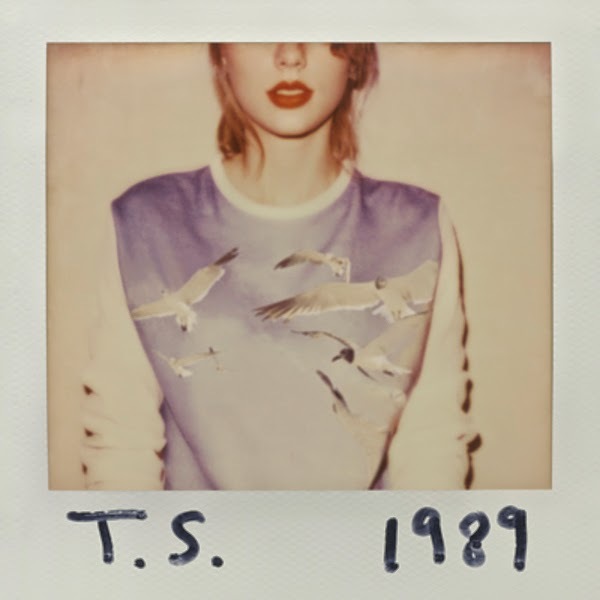 It is after 1989 lead single "Shake it off" went on top of iTunes charts within minutes. Samsung Galaxy - is it end of the road? Later this month, Samsung will post its result which as per analysts, profits will be 60% lower than their peak profits. Galaxy range of smartphones which made them top mobile device manufacturer in the world, now facing its slow demise. In the android world, there is Google which controls operating system and its apps while device manufacturers own the devices. Google will benefit when there is a great degree of adoption as well as fragmentation among the device makers while device makers would want to have a say in software and its future. But truth be told, it has never been a war between Apple and Samsung (Despite of Samsung "Genius" ads). It has always been between Apple and Google. Compare it to PC industry where in similar space, Apple is pitted against Microsoft. In this industry, Apple has 7% of market share but it reaps profit more than the PC industry. It's an old data of Q4 2012 but nevertheless illustrative. So if we take parallels, Mobile space will be tomorrow with 2 key players where Apple will make money while Google (it will make money also) with Android ecosystem will get the market share while device makers on the Android platform will be transitory in nature. Yesterday it was Samsung, today it is Xiaomi, Lenovo, Micromax, Xolo etc, tomorrow, it will be some one else but in this space, it will always be a race to the bottom[Android one is the example]. In Android space, device makers innovate on user interface but wait... is it innovation? I bought Sony Xperia U which got obsolete soon after I bought it :(. Sony won't give any upgrade paths even if phone's hardware allows it. If I would have bought Nexus with stock Android experience, I would have been better off. Even Android one has better software upgrades (18 months) while average Android devices have 12-18 months. So with topped-up user experience layer, are customers better off? Not really. It cages customers as it blocks future software upgrades and is a drain on device's resources. In the android world, device makers are unable to do any differentiation other than UI layer (Even this is going to change with Android L and material design). Samsung has reined the market with some innovative bets - larger screen size, better display, stylus, more powerful devices. All these innovations are no longer sustainable as no device maker can now increase screen size. Regarding device's computing power, with Android KitKat, Google took a different route to increase device penetration by slimming down its memory and processing footprint and any hardware related improvement will get copied by low cost manufacturers in the next iteration and any software level improvement can't be done by Samsung Galaxy and any solution which is a collaboration between hardware and software can't be proprietary to the Samsung. So it looks like Microsoft with its Nokia device with its Windows mobile as an ecosystem (profitability is the point of consideration) has far more success chance( how ridiculous it sounds at present ;)) than Samsung as a device maker on Android platform.